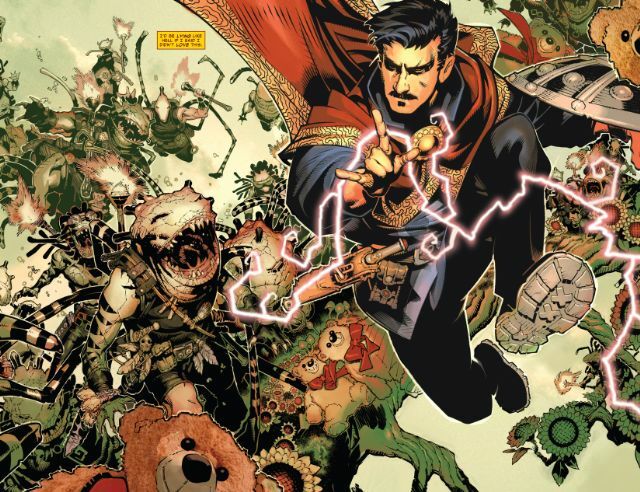 Fresh from his starring role in Secret Wars, the youthful-looking Doctor Strange is given a new lease of life by Jason Aaron and Chris Bachalo in a captivating and enjoyable first issue. During the last two years, Marvel has wisely invested some serious talent into solo books for its non-flagship characters. The success of books like Moon Knight, Black Widow, and Silk is a reasonable indication that the Marvel Universe is a weird and wonderful place for characters who aren’t members of the X-Men. It’s also an affirmation that good comics with well-developed protagonists and interesting storylines can consistently post solid sales figures. With his starring role in Secret Wars, it came as no surprise that the Sorcerer Supreme would receive his own ongoing series. 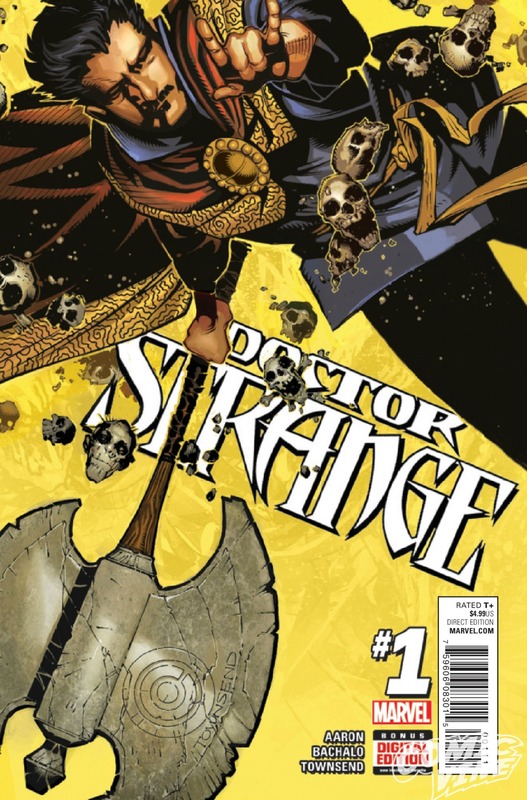 Helmed by writer Jason Aaron (Thor, Star Wars, Southern Bastards) and drawn by Chris Bachalo (Uncanny X-Men), this version of Doctor Strange will have to constantly weigh the repercussions of his actions. If he saves this person here and uses that magnitude of a spell there, he must pay the cost of his decisions. He has a constant balance to maintain, which gives him a heavy sense of responsibility and an awareness of magic’s impact on the world. This is a new concept for the character, and it will prevent him from simply sailing in to every odd situation, waving his hands, and saving the day. This doctor must first do no harm. 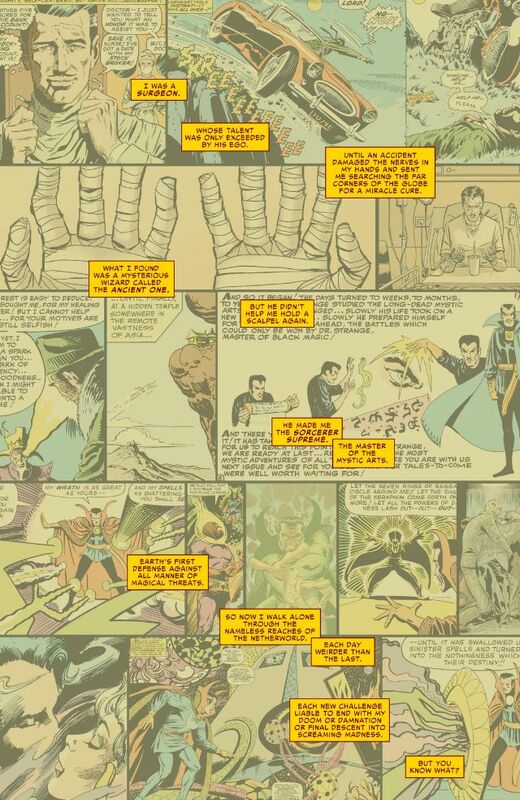 The issue starts with an interesting presentation of Doctor Strange’s origin story that includes glimpses of panels from the original comic. This segues nicely into an action sequence, where the doctor fights off invaders crossing from the mystical realm. It’s obvious that this doctor isn’t going to wait for the action to come to his Sanctum Sanctorum – although that happens, too. This is an interactive doctor, confident in his abilities while keenly aware that they do take a toll on him personally. Happily, Aaron left intact some of the characters’ personality quirks that express themselves at usually inappropriate times, including his penchant for womanizing and the fact that he is chronically late for everything. The scene with his magical counterparts is a treat and a good indicator that something big (and probably bad) is coming. Chris Bachalo’s art is an effective complement to Aaron’s direction for the story. The complex world of Doctor Strange involves the real world, the mystical world, and sometimes a maddening blend of the two as we are treated to a look through the character’s eyes. Weird is a requirement for this title, and Bachalo pops between dimensions without any sense of abruptness that might distract from the story. This is simply Stephen Strange’s world, and Bachalo conveys its emotional weight through body language here every bit as well as on Uncanny X-Men. Yes, Doctor Strange appears obviously younger, and we are given no indication of his actual age or whether or not the subject will come up. This title is a Doctor Strange for today: he dresses in modern clothes (his cape’s independent movement is terrific), speaks without much of the formality of his earliest incarnation, and appears to be sensitive to the needs of people around him. This issue is a success on every level. 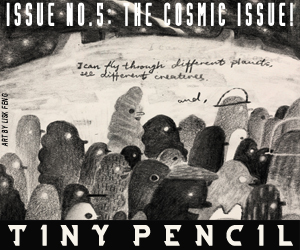 It’s a perfect starting point for new readers and should pique the interest of longtime fans. 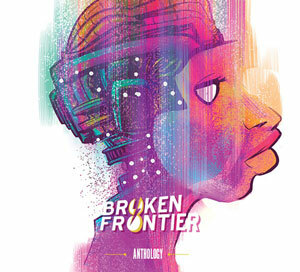 The storytelling is captivating from the first page and never lets you go. The artwork perfectly captures the mixed worlds of Doctor Strange and embraces the weird with an infectious sense of fun.